The reality is that companies who sponsor events should expect to walk away with tangible results. We've previously written on why we believe events are so vital to a business' marketing success, but today, we're taking this a step further by highlighting five outcomes that businesses should expect to be able to count on after sponsoring an event. The first, and arguably most important, area that businesses should expect to see a return on their event sponsorship investment is goodwill from the community. This is especially true if the event is paired with a charitable cause. The community will take notice of the businesses that are willing to be a part of something bigger than themselves. In fact, this telling study proved that 85% of consumers are more likely to do business with companies who are associated with charitable causes. A recent SalesFuel article states, “Beyond the general goodwill they’ll earn in the community as a result of their investment, [businesses] should be measuring results.” This quote stresses the fact that business should have a system in place to track their overall return on investment. 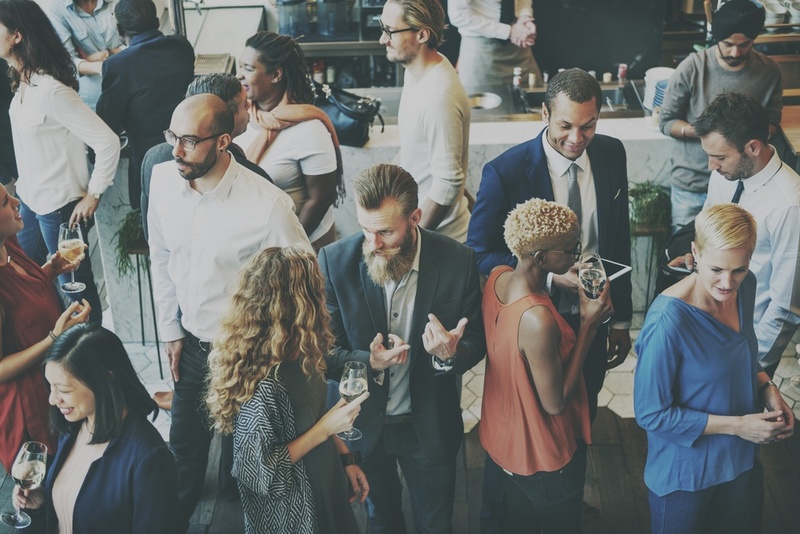 Whether this comes from products sold or future appointments booked at the event, businesses need to understand that it is possible to track tangible results from their event participation. Take a look at this article to learn more about how to generate quality leads from events. Another one of the measurable benefits of sponsoring an event is increased access to media exposure. This could include radio mentions and commercials, magazine advertisements, and digital campaigns. This advertising push can occur before, during, and even after the event itself. These mentions and promotions could potentially target wide markets of consumers who businesses may not have reached otherwise. These ads often result in increased foot traffic, increased sales, and an increase in overall brand awareness. Learn a little more about how to adequately track advertising ROI here. Another great quote from the aforementioned SalesFuel article shares a statistic that emphasizes the importance of brand awareness: "70% of [businesses] are hoping that consumers will start to prefer their brand over another company’s and they hope that their sponsorship efforts will bring about that kind of change.” There is no mistaking the fact that businesses who sponsor events are wise to repeatedly put their brand in front of hundreds of consumers in a fun and relatable way. One less obvious benefit to event sponsorships is a solid partnership with a marketing company. Most event planners and sellers will return to businesses the following year, offering them the first right to renew their sponsorship. A quality partnership like this is cherished by many businesses who experienced success the previous year and are looking for even better results later down the road. Goodwill in the community, overall financial return, increased brand awareness and prime access to the next event are just a few of the measurable outcomes that businesses can expect from being event sponsors. So, what is your business waiting for? Commit to sponsoring a local event today!